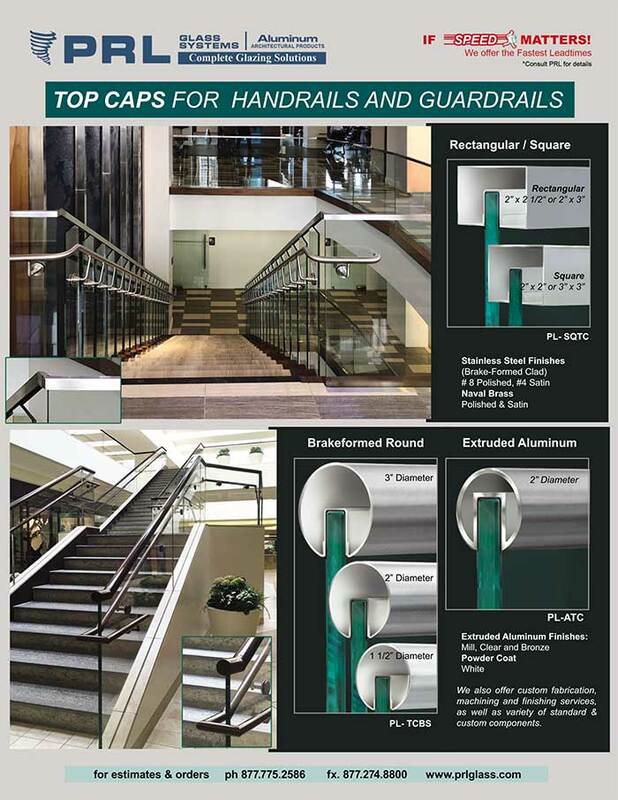 For the best assortment of handrail and guardrail top caps, look no further than PRL. We offer a wide variety of styles, sizes and finishes for indoor and outdoor railing systems. Rendered in brake formed stainless steel and extruded aluminum options, we supply a huge inventory of top caps for a host of railing specifications. At PRL, nearly all handrail and guardrail top caps are manufactured in our facility. Furnished in round and square profiles, these railing components are available in a large selection of standard and custom lengths, sizes and diameters. We also extrude a vast range of top cap accessories. Providing the finest machining, bending and welding services, we can produce everything from channel caps, custom angled elbows and sidelite channel caps to custom corners and posts, slotted endcaps and more. Watch our video to experience the Top Caps manufacturing process. Commercial or residential, our top caps make for stunning handrails and guardrails. Delivered in a rich collection of premium quality finishes, these railing components afford generous design choices. In addition to brushed and polished stainless steel, PRL offers top caps in clear and dark bronze anodized, mill, powder coated and painted aluminum finishes. Upon request, satin and polished brass are also available. PRL Glass & Aluminum. We furnish the widest selection of handrail and guardrail top caps in Southern California. Upholding our stellar reputation as the premier railing component manufacturer, we’ve become the supplier specifiers and architects trust.